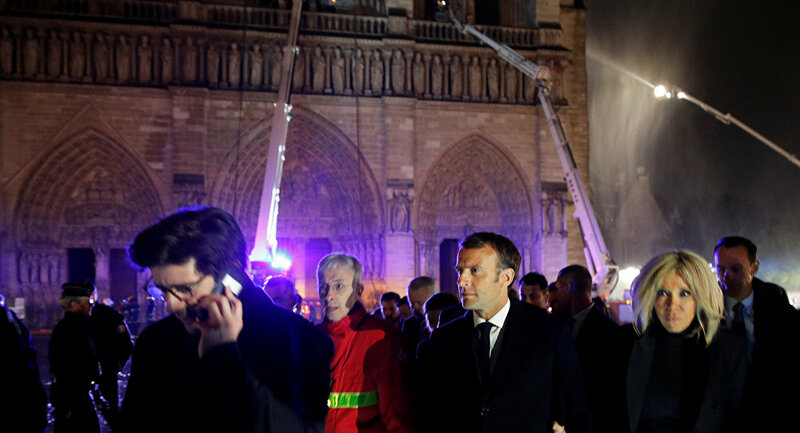 French President Emmanuel Macron entered Notre Dame de Paris Cathedral while it was still burning; sparks are seen pouring from the ceiling. The online broadcast was made by the French newspaper Le Figaro. "Macron was able to briefly go inside the cathedral. He has already left," the video's caption read. In the photographs published by the newspaper, Macron stands in the dark inside the cathedral and shakes hands with a fireman.